Alex has been featured in venues from Manhattan to Las Vegas, Europe and Japan including the concert stages of Lincoln Center's Rose Hall, The Bruno Walter Auditorium, Joe's Pub, Below 54, The Cutting Room and The Smith Center. He has performed for private functions at The Carlyle Hotel, Plaza Hotel, 21 Club, Waldorf Astoria, Pierre Hotel, Algonquin Hotel, Harvard Club, National Arts Club, The Players Club, Cipriani, United Nations, University Club,, New York Athletic Club, The Museum of Modern Art, The Ritz Carlton, The Four Seasons and Cloister Hotel in Sea Island. I would hire him again, he is a wonderful entertainer. 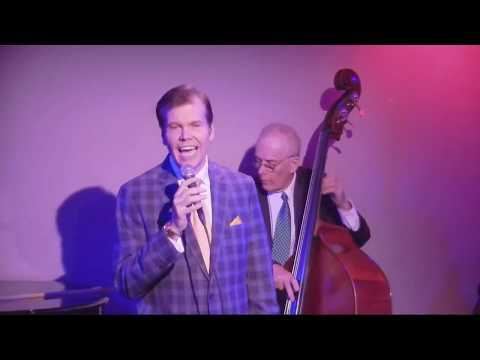 With elegance, style, good humour and grace international performing artist Alex Leonard performs a variety of music for private, corporate and concert events from the great American songbook, standards, jazz, Italian, bossa-nova and popular tunes. Alex also presents musical concerts/lectures on topics such as film music and great composers. A two time MAC Award nominee and finalist in the Noel Coward Competition, the theatre publication Show Business writes, “superb piano playing... a class act”. All Music Guide calls Alex, “an important mainstay of the Big Apple” and The Bistro Bits column of the Bistro Awards writes, “his vocal is so tender, so touching... his playing throughout is marked with uncommon grace”. In an album critique Jazz Review comments, “Alex Leonard is one of the finest jazz pianists performing today”. Alex has been featured in venues from Manhattan to Las Vegas, Europe and Japan including the concert stages of Lincoln Center's Rose Hall, The Bruno Walter Auditorium, Joe's Pub, Below 54, The Cutting Room and The Smith Center. He has performed for private functions at The Carlyle Hotel, Plaza Hotel, 21 Club, Waldorf Astoria, Pierre Hotel, Algonquin Hotel, Harvard Club, National Arts Club, The Players Club, Cipriani, United Nations, University Club,, New York Athletic Club, The Museum of Modern Art, The Ritz Carlton, The Four Seasons and Cloister Hotel in Sea Island. Alex's recordings have received national airplay and enthusiastic reviews from publications such as Jazz Now, Broadway World, Cabaret Scenes, Cadence and All About Jazz. He has performed off-Broadway and been a featured guest on many programs including CUNY-TV and Bloomberg Radio's The Business of Show Business.